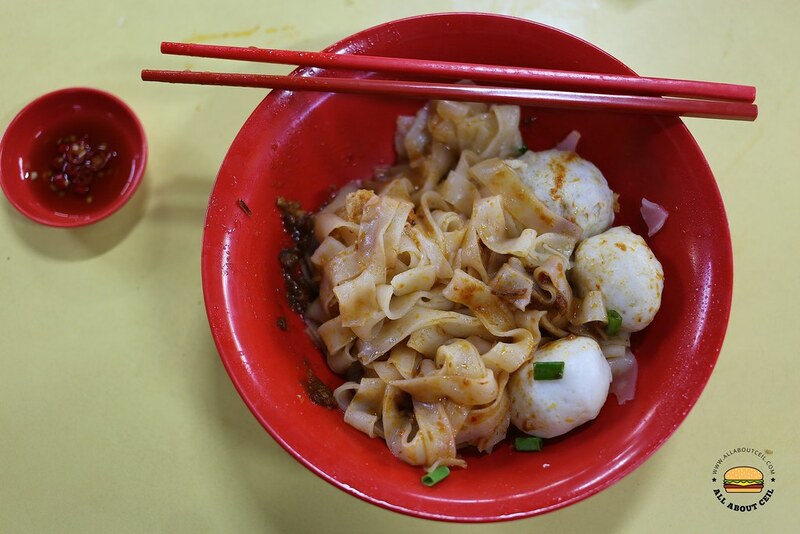 This is the other Song Kee Fish Ball Noodle nestled in the food centre just a stone's throw from the Ang Mo Kio MRT station. I was told that it is manned by a relative, the stall started quite early and usually sold out before 10.00 am as it happened a few times when I was there late. There is always a queue right at the stall but it moves pretty quickly and so the waiting time is usually a short one. There are the $4.00 and the $5.00 portion available. When it was my turn to order, I asked, "Only the $5.00 came with the fish dumpling?" The friendly auntie replied, "No. 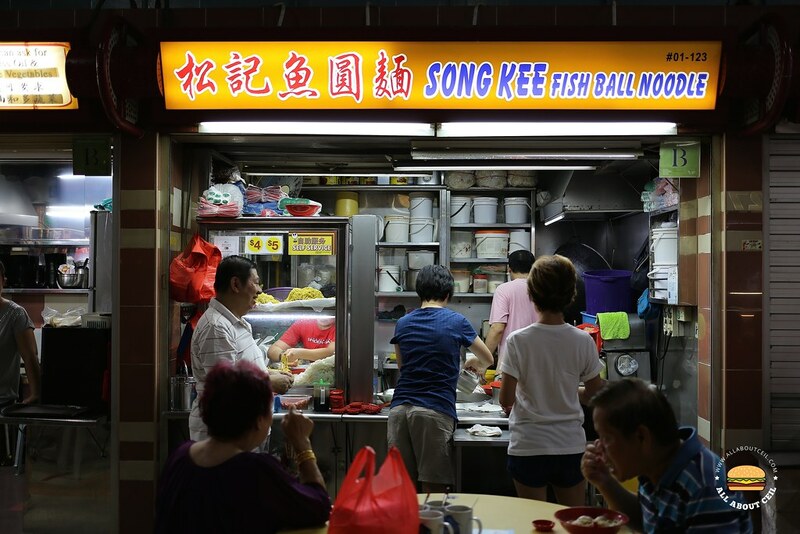 The $4 is already served with fish dumpling and the $5 portion has extra fishballs." I decided to go with kway teow dry at $4 and requested for extra chilli to go with it. The star has to be that only piece of fish dumpling. My dining companion felt that it is not as good as the one from the other Song Kee in Bishan. 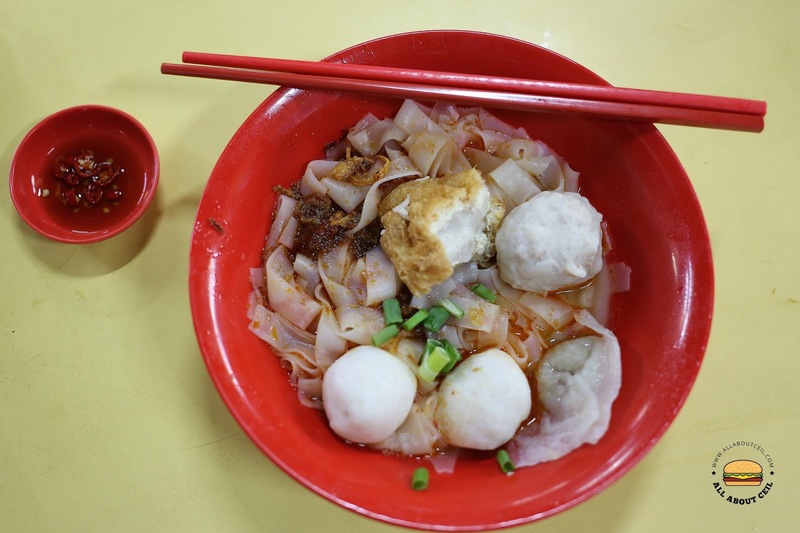 The skin of this fish dumpling is slightly thicker and chewier. The tau pok with fish paste, fish balls, and meatballs were pretty average though. The chilli was nice and not too spicy, it complemented the kway teow nicely. It served along with a bowl of lightly flavored soup and fresh-cut red chilli. The one at Bishan has dumpling on its menu. But its on-and-off. Depends whether the son around to help I think. Price is now at $4. I ordered 30 pieces of fish dumplings for just $25 during the CNY.